The goal is to make at least 50 art cards before January 2013. I mentioned exactly a month ago that Wina had a proposal for me that involves my art cards so here it is: For her local book launch of her first book Paperweight in the summer of 2013, she asked if I wanted to sell my art cards during the event. And I'm like OF COURSE. I'm trying not to get too worked up about it coz the last thing I want to happen is to be mentally constipated. When I'm done, I'll be choosing which cards to trade and which ones to sell. 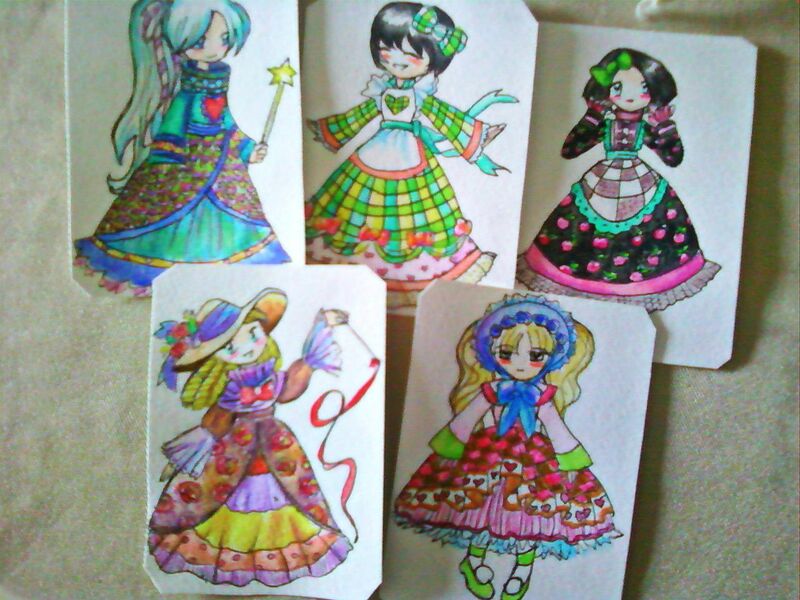 For these cards, I ended up using ink, watercolor, poster color, and colored pencils. I noticed I work best on my art when listening to musicals.